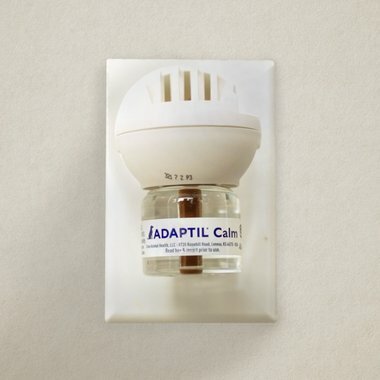 ADAPTIL Diffuser contains D.A.P. and offers a natural and convenient way to help manage stress-related behaviors in your dog. It can be used during fireworks or loud noises. Is your dog barking excessively, whining and hiding? 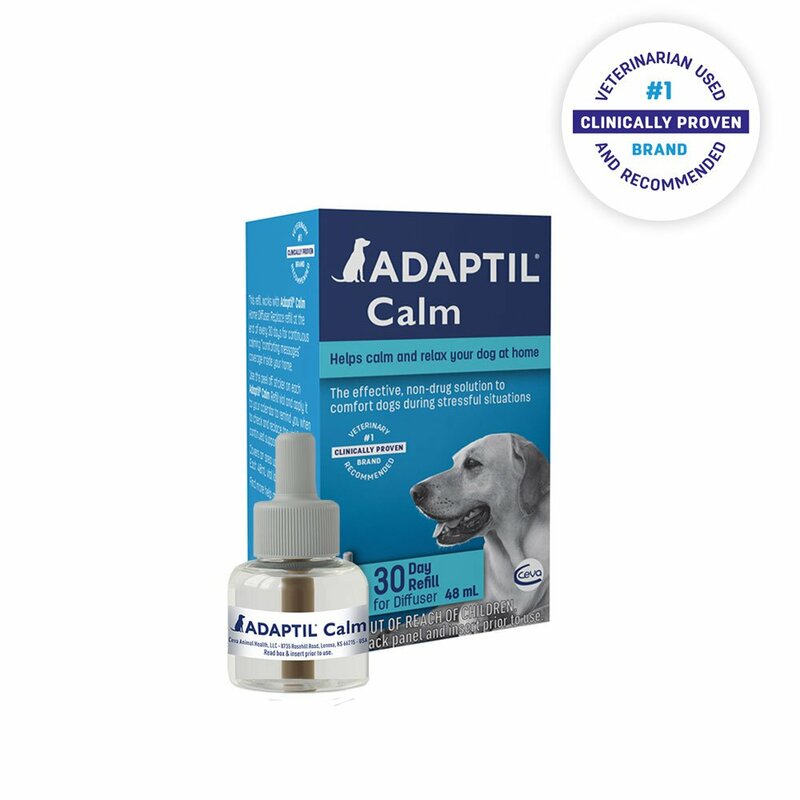 ADAPTIL is a clinically proven, drug-free solution that helps your dog feel calmer. 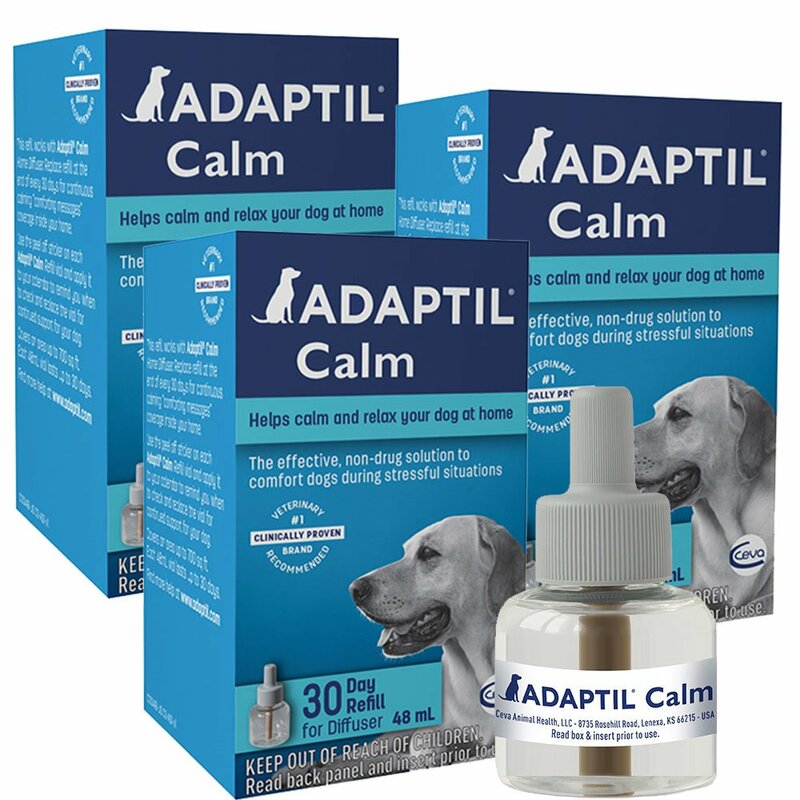 ADAPTIL Calm Home Diffuser Refill provides “comforting messages” (dog appeasing pheromones) that helps dogs feel calm and relaxed in situations like loud noises (thunderstorms and fireworks), staying home alone, or other fearful situations. These odorless messages are only perceived by dogs and provide a strong signal of security and comfort. Cats and people are not affected. ADAPTIL Calm Refill vials include one refill vial (diffuser head sold separately). Plug in diffuser where your dog spends the most time. Should be used continuously for at least 30 days. Covers an area up to 700 sq. ft. It is recommended to replace the refill every 4 weeks, even if a small amount of liquid remains in the vial (the vial will never be completely empty). Drug-free solution that helps reduce signs of fear and anxiety, like whining, hiding and excessive barking. Provides your dog with continuous and constant comfort. Refill includes one refill vial that lasts up to 30 days (diffuser head not included, sold separately). Dogs that were not exposed to noise at a young age, but exposed to noise later in life. Develop a treatment plan in conjunction with your veterinarian. It's important to make sure your veterinarian is part of the process, as she can guide you to the right resources, monitor your dog's progress and offer medical intervention if necessary. 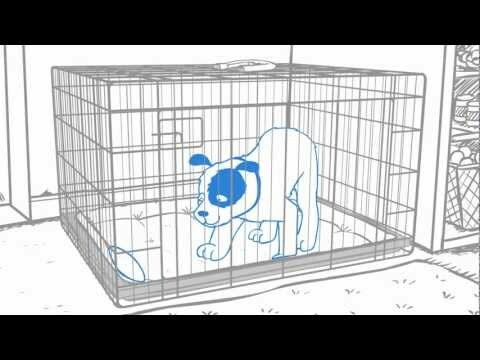 Build a "Safe Area" or Den for your dog to escape from noise when needed. Pick an area that is quiet, away from windows and activity. Your dog may already have an area she favors such as a closet or under the bed. You can create an area by putting a blanket over a kennel. Make sure the area is comfortable, with a dog bed or blankents. Give her treats, toys and chews in the den so that she associates the area with good, positive things. Never force her into this area or lock her into it! It must be a place that she chooses to go because she feels safe there! Also supplement the area with Adaptil pheromone products to help provide additional reassurance. Allow her the freedom to access the den whenever she needs to, and ask the family to leave her alone and not approach her when she is in the den - lettung her come to you when she is ready. Use clinically proven pheromones. Adaptil® is te only clinically proven pheromone product to help reduce reactions to loud noises including fireworks and thunderstorms.2,3 Adaptil® is a synthetic copy of a comforting pheromone emitted by the mother dog after birth. These pheromones help comfort and reassure puppies. This pheromone can be detected by dogs of all ages and signals a calm and confident presence. Dor best resilts, start using Adaptil® at least one week prior to the stressul event (if possible), and contine use for a full 30 days. 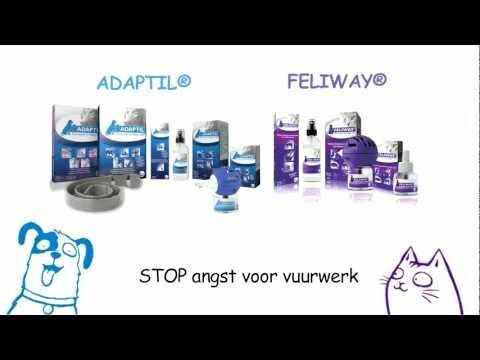 Adaptil® has no contra-indications, can be used long term and also can be used with drug or nutritional therapies. Your veterinarian may recommend medication. There are several short-term medications that can be given on an "as needed" basis. There are also drugs that can be given continuously to manage long-term stressful situations. Long-term medications may be more important when the dog has other anxiety related problems. Consider desensitization training. 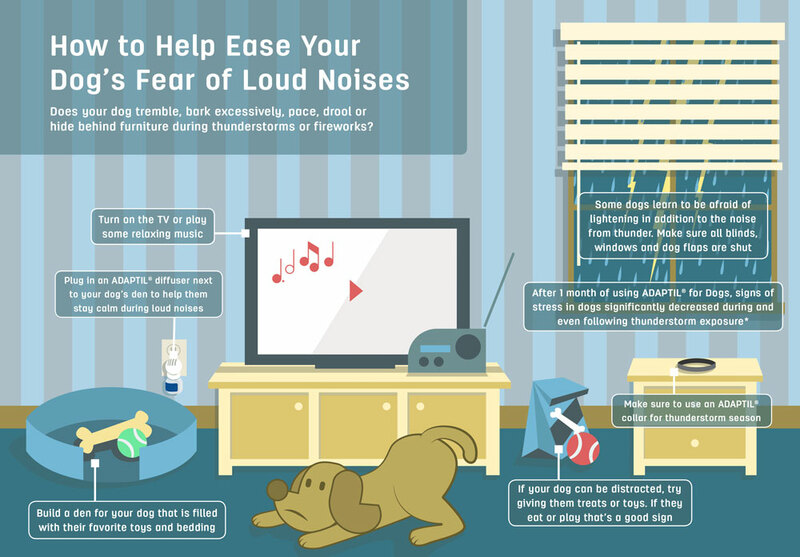 If a dog is afraid of noises, desensitization training may be needed. Desensitization means to make less sensitive. It involves a gradual process of exposing the dog to the trigger that he fears with a weak, less threatening version. Over time the dog becomes desensitized to the noise at the weaker level. The noise is slowly intensified until a full or nomal version is reached. You can find more information about this process at ASPCA.ORG.